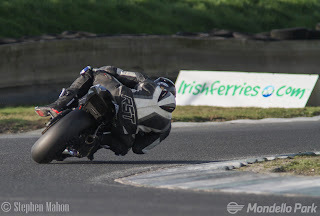 Big wins in Bishopcourt this afternoon for ISBK racer Cody Nally and in SuperSport Korie McGreevy. Eunan McGlinchey continues to decimate the Production Twin class as Marty Lennon takes a win in the Supertwin race. Pre-injection’s Stephen McKeown gave an excellent account of himself as did Terry O’Reilly and Aidan Browne in the Sidecar race. F1 racer Chris Campbell hadn’t it all his own way as Mark Murphy grabbed a win. Dean Campbell and Kyle Cross claimed wins in the LWSS and GP125 category. Missing 5 race results and will post championship table when available. 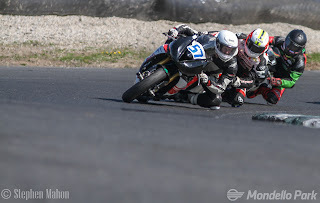 Well done to the Temple club and the Medics\officials\photographers in Bishopscourt.